Each year the Hilo Orchid Society stages the largest and most comprehensive orchid show and sale in the state of Hawai`i. The show takes place at the Edith Kanaka'ole Stadium in Hilo. Click here for directions to the show. Tickets will also be available from any member of the Hilo Orchid Society for $3 if purchased prior to the show. $3 discount tickets will also be available at some Hilo retail location. Check back here for an update. A selection of fantastic items will be auctioned off in the Hilo Orchid Society Silent Auction. Funds raised are used for scholarships for students at University of Hawaii at Hilo, as well as supporting orchid conservation and orchid education. Last year's items included rare orchids, Hawai`i Island attractions, jewelry, original artwork, original photography, restaurant gift certificates and many more items. Each day people will have the opportunity to bid on new Silent Auction items. Gorgeous displays of thousands of orchids, including exotic orchid species and hybrids not typically found at major retail and grocery store chains. Orchids for sale suited to beginning through expert growers, plus other orchid-related items. Click here for more information. Tasty, reasonably-priced food from local sources. Click here for more information. Hawaiian musical entertainment at lunch time and late afternoon. Click here for more information. Lectures and demonstrations. Click here for more information. Over 4000 people attended the 2018 Hilo Orchid Show and Sale, making it one of the largest events in Hilo. Each year, awards are bestowed in two categories: American Orchid Society Awards and Hilo Orchid Society Ribbons. Each will be coordinated by an American Orchid Society judge who lives on Hawai`i Island. To see the list of first place ribbons awarded in 2018, click here. 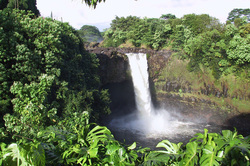 Click here for things to see right in Hilo. 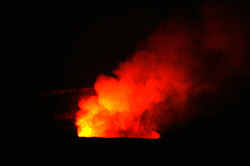 Click here for things to see beyond Hilo. Our 67th Annual Hilo Orchid Society Show and Sale will be held June 28-30, 2019. ﻿Click here﻿ for a gallery of photos from the 2018 show.